Good stewardship involves a variety of activities, practices, and approaches that apply to a common goal: conservation. For information on the topics below, click on a heading or bulleted subheading. 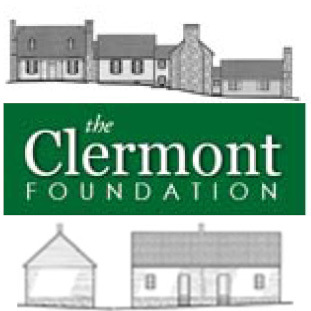 Developed by the United States Secretary of the Interior, there are four treatment approaches (preservation, rehabilitation, restoration, and reconstruction) for historic buildings, each one intended to promote responsible preservation practices. Established in 1976, there are ten “Standards” under each approach. Each Standard is purposely vague and intended as general guidance, not technical assistance. 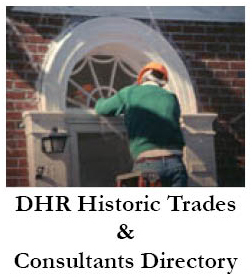 DHR uses the Standards for Rehabilitation in most cases when reviewing projects under the Code of Virginia, because these Standards acknowledge the need to alter or add to a historic property to meet continuing or changing uses. These Standards emphasize repair instead of replacement, but offer guidelines if replacement is warranted. DHR uses the Standards for review purposes but also encourages the use of them outside of review processes. Follow this link for the ten Standards for Rehabilitation, or you can print this PDF. All four treatment approaches can be found online here at the National Park Service’s website. The Standards provide a good foundation for approaching maintenance on historic buildings, but there are other tools and guidance available to help agencies apply the Standards, both found on the website of the National Park Service. The NPS publication Illustrated Guidelines for Rehabilitating Historic Buildings offers more specific recommendations and advice on how to apply the Standards. But please keep in mind, only the ten Standards are mandated when it comes to review pursuant to state law. The Preservation Briefs are also published by the NPS to recommend even more specific methods and approaches for rehabilitating historic buildings with respect to the Standards. There are 47 Briefs and they range in topics from water repellent treatments for historic masonry to preserving ornamental plaster to ADA accessibility. Without maintenance, windows and roofs are usually the first items slated for removal and replacement with a modern alternative thought to be more economical. The replacement of these two items is the most common treatment issues threatening state-owned properties today. Windows and roofs are important features in historic buildings and drastically changing them truly alters not only the building’s appearance, but also the historic integrity. Integrity is very important when it comes to historic buildings, and is defined as a property’s ability to convey its significance through its physical characteristics. For example, how could Gunston Hall demonstrate that it is an 18th-century plantation home with an asphalt shingle roof and vinyl windows? Windows have taken the spotlight in a growing debate about energy savings. The term “weatherization” has become a popular phrase and for many, weatherization has come to mean buying new energy-saving windows and discarding the old. A closer look, however, reveals that the cheapest and environmentally responsible way to weatherize a building may include keeping the existing windows. Properly weatherized windows with storm units can reduce heat loss through windows by 50 percent, resulting in performance and energy savings comparable to or even better than new windows. Replacement windows typically fail 10-to-20 years after installation, usually after the warranty period has ended and before their cost has been recouped through energy savings. discarding windows, and for those reasons, is less costly to the environment. When preparing for a window project, please see this PDF for a checklist of questions to consider and recommendations for repair and/or replacement. full window replacement, but at a fraction of the cost. The roof communicates much of a building’s architectural character, but roofs are not supposed to be permanent. A tightly-sealed roof is the most important element of a building as it buffers it from the weather. Deterioration can result in costly repairs or even threaten the building’s existence if a hole goes unnoticed. Temporary patching methods should be carefully chosen to prevent inadvertent damage, and a full inspection of the roof should be completed prior to repair or replacement to determine the exact cause of water seepage and other failures. When preparing for a roof project, please review this document (PDF) for a checklist of questions to consider and recommendations for repair and/or replacement. Back to Best Practices Outline. After the earthquake and Hurricane Irene in late August 2011, DHR responded to many requests for technical assistance from state agencies whose historic properties suffered damage. In many cases, chimneys had separated from a building, trees had fallen through roofs, or masonry had been cracked. Please see this document (PDF) for guidance on plaster and chimney damage. Energy efficiency and the “greening” of historic properties have become popular initiatives among state governments looking for ways to enhance their properties in an environmentally friendly method. Former Governor Bob McDonnell’s Executive Order No. 19 requires new or renovated buildings to meet “Virginia’s Energy Conservation and Environmental Standards” for energy performance, in addition to conforming to LEED silver. But how do you balance green building practices and historic preservation? The Standards emphasize maintaining historic character (visually distinctive materials, features and spaces) and integrity (whether the building still retains its historic character) in its guidelines, which are central to historic preservation. Green Building practices, LEED is the most popular, promotes the production of buildings that are sustainable and economically feasible and that will not harm the health of their occupants. The LEED rating system awards points when sustainable practices are incorporated into construction projects, and the higher the points, the higher the certification level achieved. It is important to know that both movements share a related origin that can be summed up generally in one term: conservation. Undervalue the reuse of buildings versus other actions. Creative approaches to rehabilitating historic buildings can combine the best sustainable practices of both preservation and popular green methods of construction. Tips on Green Preservation, for the three biggest tips to consider when planning a green renovation to a historic building. Please follow this link for the NPS Illustrated Guidelines on Sustainability for Rehabilitating Historic Buildings, where it is also possible to download a PDF of the document. From the prehistoric stone tool debris left by present-day Virginia’s earliest people to the remains of Cold War military training facilities, the depth and breadth of Virginia’s archaeological heritage is truly remarkable. Virginia is home to more battlefields and battle-related archaeological sites than any other state. Virginia’s archaeological sites belong to its citizens, and DHR is committed to preserving archaeological sites on behalf of the public. Installing fencing or locked gates, or burying the site to prevent disturbance. Sometimes, however, these options are not always feasible. Where disturbance is unavoidable or a site is in imminent danger, DHR will work with state agencies to develop a plan for careful investigation, evaluation, and data recovery, if required. The maps, photographs, and written reports gathered from the investigation are then made available through our Archives. contain cemeteries and burial sites. Guide cemetery restoration, headstone repair, and other activities. Should you discover human remains accidentally, immediately contact local police and secure the area from further disturbance. If the burial or remains appear to be historic or prehistoric, DHR can provide assistance once law enforcement personnel have determined that the situation is not criminal in nature. If the relocation of human remains cannot be avoided, an agency must receive permission from the Circuit Court of the appropriate county or independent city in which the project is located. When the cemetery or burial is of prehistoric or historic origin, DHR strongly recommends the use of archaeologists to investigate and fully recover both the remains and associated items. Remember, any excavation on state land requires a permit from DHR. Disturbance of human burials, whether willful or accidental, is prohibited under state law without appropriate permits (see Code of Virginia 18.2-126). Conviction of unlawful disturbance or disinterment is punishable by two to ten years in prison and up to $100,000 in fines. Education is a large part of the mission at DHR. Archaeologists within our agency regularly speak to historical societies, grade schools, colleges, and other interest groups, about the importance of archaeology. We also hold archaeological field schools and public workshops around the state to teach excavation methods. During 2011-2012, DHR completed two field schools and six public workshops. One school examined a historic occupation at Huntsberry Farm, located within the Third Winchester Battlefield in Frederick County; the second school surveyed of a Late Prehistoric occupation site at Savage Neck in Accomack County. The investigation resulted in recovery of some of the earliest prehistoric ceramics found in the Mid-Atlantic region. DHR’s cemetery workshops—focusing on preserving and recording historic cemeteries—are among the most popular outreach activities. DHR’s curation facility in Richmond houses more than six million artifacts from all parts of Virginia, and regularly loans items to state, national, and international museum exhibits. Curation and conservation staff provides advice and analysis to public and private institutions around the state, and offers emergency response guidance. For questions regarding an outreach opportunity or curation for your collection, visit this webpage of the DHR website. There is often little to visually distinguish a battlefield from a pasture, forest, or hillside, and its significance can be difficult to recognize. In some instances, battlefields and battle-related properties can contain earthen fortifications and buildings used as makeshift headquarters or field hospitals. In others, battlefields can include evidence of encampments and battlefield engagements and, most importantly, the graves of fallen soldiers. A battlefield’s historic significance is largely archaeological, but it may be easier to think of battlefields as open-space landscapes that afford a sense of what soldiers saw during the battle itself. Talk to DHR. We can help an agency identify both a battlefield and any known resources (fortifications, trenches, historic buildings, etc) that may be associated with it. We can also provide technical assistance for the larger landscape as well as for any associated resources. Identify battlefield resources. DHR can help your agency ensure that management maps and documents accurately identify battlefield resources. Staff should be aware of these resources and the responsibility to protect them. Protect battlefield resources. Any identified battlefield resources (earthworks, burials or cemeteries, etc.) should be protected from damage and vandalism as much as possible. This should include acknowledging and accounting for battlefield landscapes and archaeological sites when planning for new construction or other projects. Involve staff: Agency staff—especially rangers, foresters, and others who spend time outdoors— can be the best sources for protecting battlefield resources. Providing staff with information about battlefields and other historic resources on state property will encourage staff to be alert for illegal activities, such as relic hunting. Under the Virginia Antiquities Act (Code of Virginia §10.1-2300 et seq), it is illegal to damage or remove objects of antiquity from state-owned property without a permit issued by DHR. Violation of this law is a Class I misdemeanor (punishable by up to 12 months in jail and up to $2,500 in fines). Individuals should not be granted permission to hunt for relics using metal detectors or other methods, or to otherwise disturb battlefield resources or any other historic site, on state property unless they are able to produce the necessary permit. For more information on the Civil War Sites Advisory Commission, see this document (PDF).